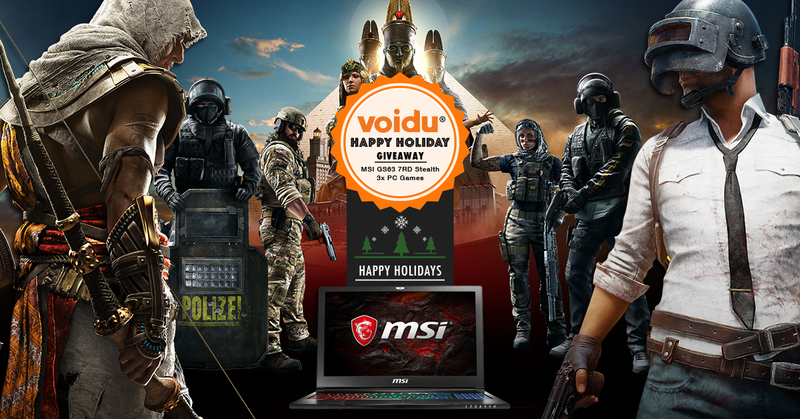 Voidu wants to gift one of their fans with amazing gaming laptop! To enter in their latest MSI GS63 7RD Stealth Laptop Giveaway grab your free entries by following few simple steps listed down below! MSI pioneers only the extraordinary gaming machines for your gaming pleasure. As a true gaming legend, MSI seeks to uphold its tradition to always offer the latest and the exclusive gaming features to fulfill gamers’ every desire. GeForce GTX 10-Series GPUs give you up to 3X the performance of previous-generation GPUs. They’re built with ultra-fast FinFET, the latest high-bandwidth memory technologies, and support for DirectX 12 features to deliver the fastest, smoothest gaming notebook experiences. Winners will be contacted via the email connected to the given social platform login.